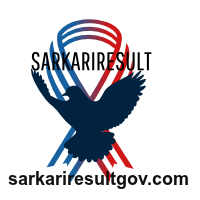 Short Information: Madhya Pradesh Professional Examination Board, (MPPEB Vyapam), Are Recently UPloaded Result For the Recruitment Post of Samagra Samajik Surksha Vistar Adhikari Examination 2017. Those Candidates are Interested to the Following Application Form and Complete the All Eligibility Criteria Can Read the Full Notification and Download Result. Pay the Exam Fee Through Cash at MP Online KIOSK or Debit Card / Credit Card/ Net Banking Fee Mode Only. Age Relaxation Extra as Per Vyapam Rules. Bachelor Degree in Science , Arts, Commerce Stream with Diploma in Computer with Minimum 50% Marks.